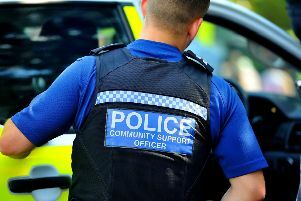 Police are appealing for information after 4x4 vehicles reportedly caused criminal damage to a gate and fields in the Pebsham area of Bexhill. A gate was forced open by several 4x4s, which were then driven over fields damaging crops sometime overnight on Wednesday (November 2), police said. Over a period of several weeks, field gates and posts in this area have been subjected to damage, causing an estimated repair cost of £1,500. PCSO Holter added: “On top of this we have further concerns for the safety of livestock in these fields. “If these animals escape they could be in danger and could cause accidents. If you are a witness or have any information please email 101@sussex.pnn.police.uk quoting serial 1008 of 03/11. Or report online to http://sussex.police.uk/contact-us/response-to-appeal/ or call 101.